Day one and I’m already exhausted. In a good way. Sitting in Starbucks with friend and www.ainonline.com colleague Matt Thurber trying to download what’s happened today to a page. I have zero brain left and am still feeling totally blissed out with the experience. Yesterday involved a twister, a new aircraft launch, a meeting with Mr Fang, a Chinese entrepreneur who is building said aircraft, a couple of parties and a campsite ghost. And yes, I’m still liking camping. 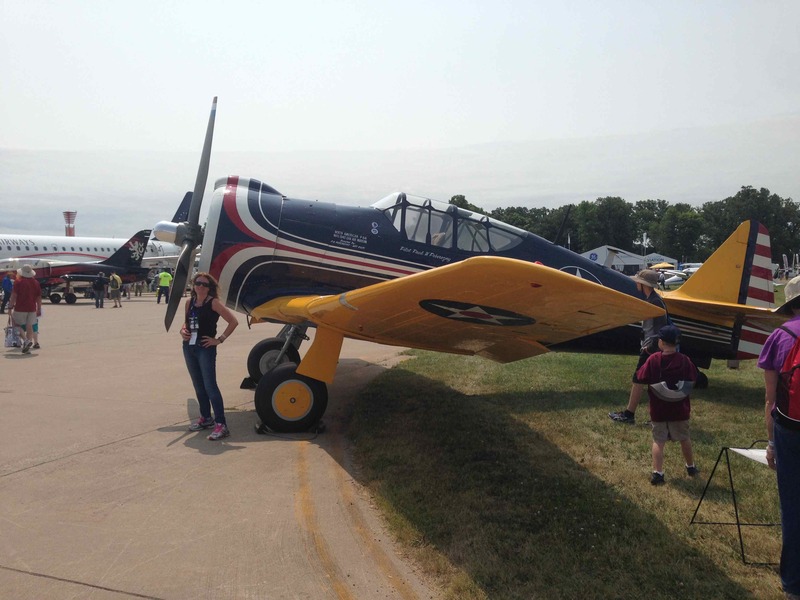 First things first – the brand-new aircraft launch and a pretty cool first proper story to learn about for my Osh. 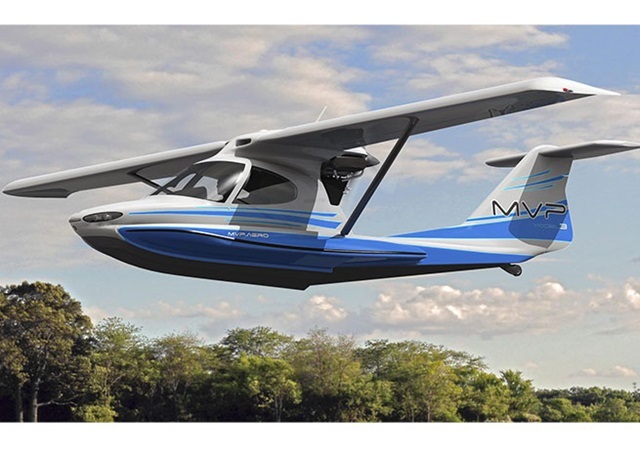 Minneapolis-based MVP Aero played to a packed house at the media centre yesterday when it unveiled the mock-up of its new amphibious two seater. Spearheaded by ex Cirrus stalwart and design genius Mike Van Staagen, the firm is developing a $189,000 light sport aircraft that can morph into many fun varieties. Set to fly in 18 months (thanks to a carefully thought out production process), the MPV should start delivering in the experimental amateur-built category in three years. The MPV can land on water, and offers a hammock, a fishing seat and a method of moving the instrument panel out of the way among its many option. Alan Klapmeier serves on the board of advisors and strategic partners include Glasair Aviation of Arlington, Washington, and Fibercraft of Spruce Creek, Florida. Chinese entrepreneur Fang Tieji has the rights to manufacture and distribute the aircraft in Asia. Mr Fang is a pretty cool aviation man in his own right. He owns many and diverse businesses in China and is currently building airfields throughout the country with a view to taking advantage of the new relaxations offering access to Lower Altitude Airspace for civilian pilots. His ‘if we build it they will come’ attitude is heartening, especially when backed up with the machines to take wannabe pilots from field to field. And so on to Garmin, which announced a new 7-inch G3X Touch touchscreen display option for experimental amateur-built and light sport aircraft. The new high-resolution infrared touchscreen display complements the OEM’s existing 10.6-inch G3X Touch system, offering new panel design options and redundancy. All G3X Touch displays support Connext cockpit connectivity between avionics and mobile devices featuring wireless flight plan transfer capabilities. When paired with a 10.6-inch display, the 7-inch G3X Touch system can serve as a dedicated display for a variety of features including traffic awareness, full-screen moving map, geo-referenced charts, engine information and even serve as a back-up primary flight display (PFD). The most exciting thing for me was the additional connectivity the system offers with VIRB, the firm’s HD action camera that uses an easy-access BNC composite video connection. Viewing live, full-screen video on the G3X Touch display is possible when integrated with the camera, which also allows pilots to start and stop video recording and take photos using up to 10 VIRB cameras, right from the touchscreen. Synthetic vision now comes standard with the package. 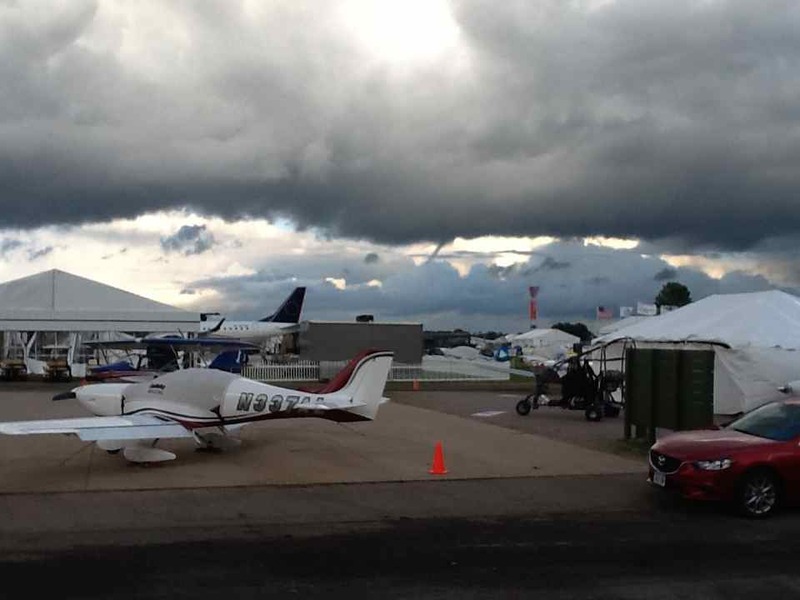 A quick hop over to Cirrus for some warm food, shelter from the gathering storm clouds and a look at the first of its Vision 50 production jets to fly at Oshkosh. While we were toughing the prototype trundled by. And so over to Redbird. 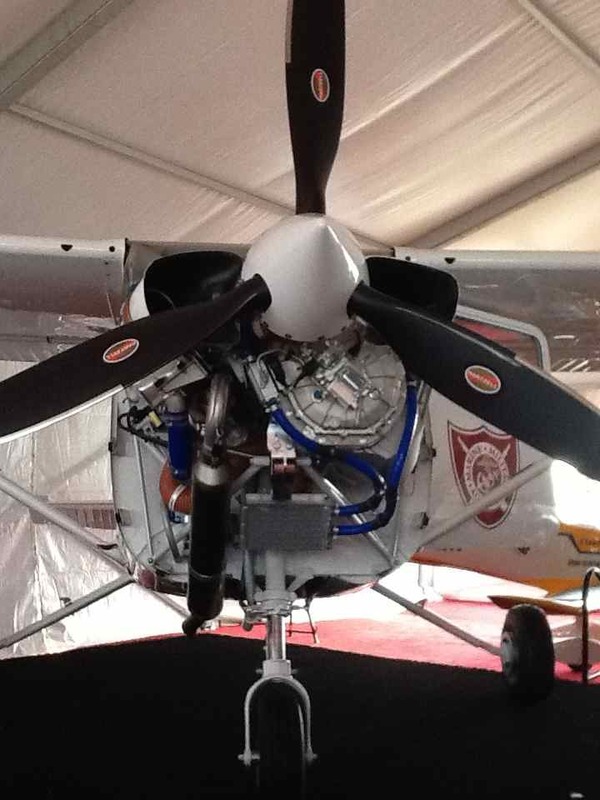 The company has remanufactured a Cessna 172 Skyhawk with ah new interior, a glass panel and a turbo-diesel engines. Combined with time in its flight simulators, the firm is offering an attractive package for flight training schools. And then we saw it – a TWISTER – actually a swirl of water droplets that vaporised as we watched. But that did it. Sent us scurrying to Ard’s diner for my first root beer float and a surprise meeting with James Wynbrandt and the team at Air Venture News. Back to the Wenzel on 48th, when the ghostly campsite piano player started up. For at least a half hour we had what some might call a pleasant backdrop to tented bedtime. Others, such as myself, may be less charitable. I was too tired to argue with my ears and fell asleep anyway, despite the cacophony. Started nicely with a bracing shower in 12-degree cold weather, followed by a wonderful warming media breakfast at Bendix King’s chalet. The Honeywell owned Albuquerque based company has increased its offerings of affordable certified Automatic Dependent Surveillance –Broadcast (ADS-B) solutions with the introduction of its KGX 150/130 Series ADS-B Transceivers and Receivers for flights below 18,000 feet offering an integrated Wide Area Augmentation System (WAAS) GPS with optional wireless capability to display traffic and weather on a tablet. Of potentially greater interest to my readers at Inflight mag is the company’s announcement that it is to offer an affordable data plan for its AeroWave 100 in-flight Internet system aimed at general aviation aircraft including pistons, turboprops and light jets. This new data plan allows people to buy data based upon how many hours they use, versus how much data they consume. Operators will be able to purchase 50 hours of Internet connectivity for $1,999. 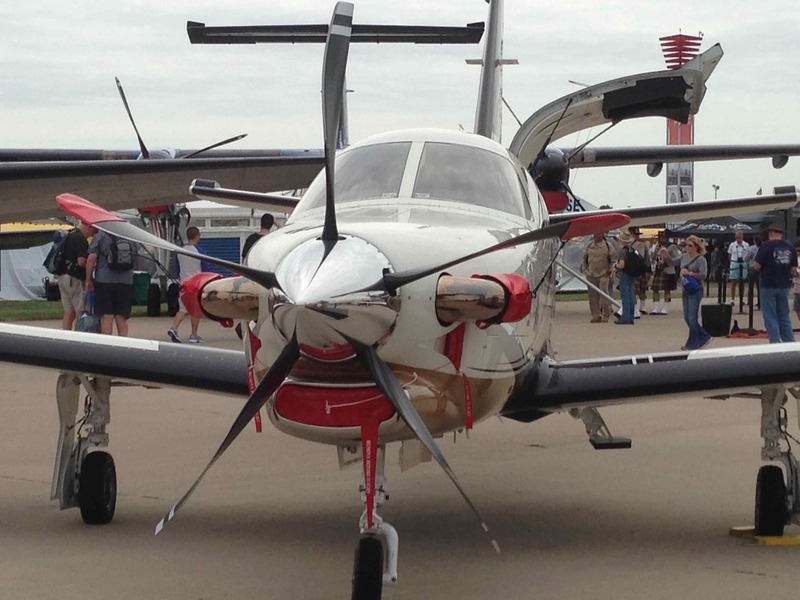 “With the data plan for AeroWave 100, we eliminated the ridiculously expensive price barrier for obtaining in-flight connectivity for the light jet and turboprop market,” said Kevin Gould, president. BendixKing’s new service plan, combined with the AeroWave 100, offers uncompressed data speeds of up to 104 Kbps through an active low-gain antenna, providing regional services covering major land masses worldwide. Service plans are available in blocks of 3,000 minutes (50 hours) for $1,999 and the AeroWave 100 are available through authorized dealers. 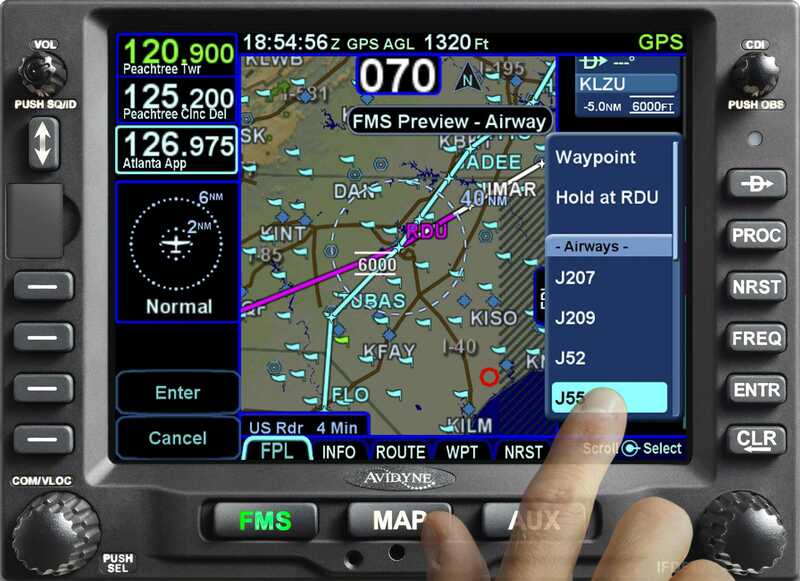 Then a whizz over to Avidyne, which is offering new hardware dubbed new IFD540 and IFD440 FMS/GPS/NAV/COM to support both WiFi and Bluetooth connectivity at no additional charge to its existing offerings. 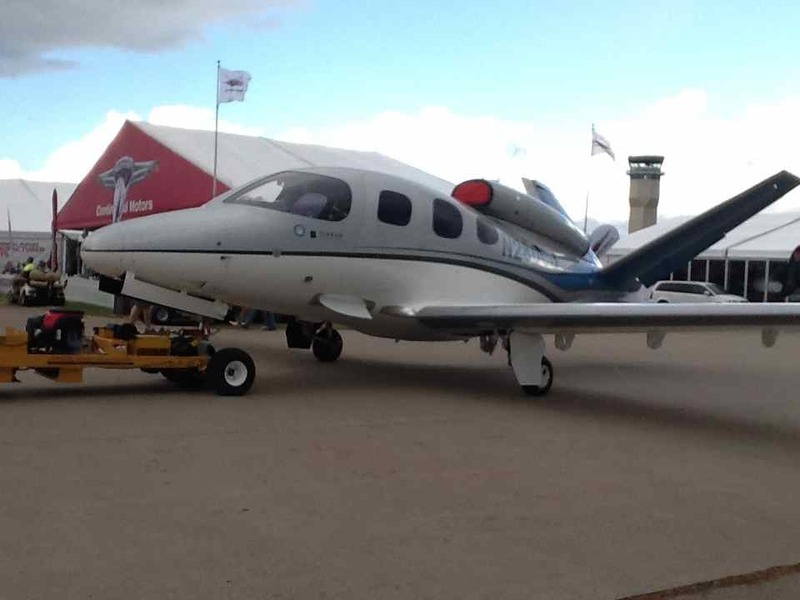 Then a gallop over to Textron Aviation, which had a slew of announcements, perhaps the most significant of which was the launch of the Turbo Skyhawk JT-A, which will join the Turbo Skylane JT-A as the latest diesel powered platform in its single-engine product line up. 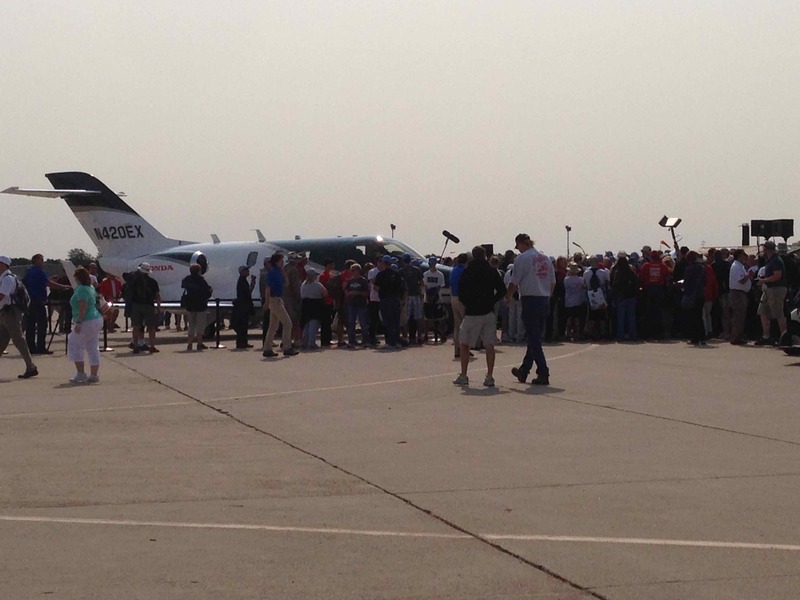 The company is displaying the Turbo Skyhawk JT-A this week at AirVenture. 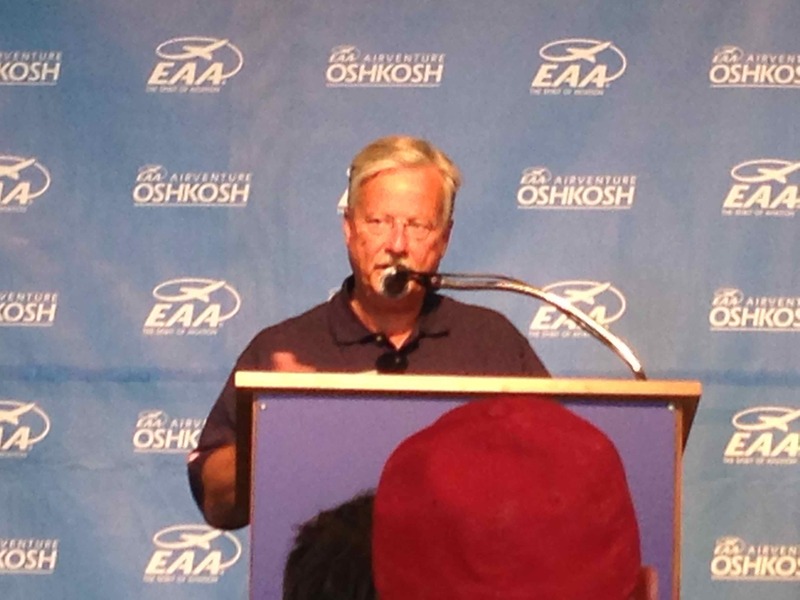 “We’ve been working for a few years now to find new, reliable alternate fuel solutions for the Cessna Skyhawk to meet changing environmental regulations, particularly in Europe, as well as the limited global supply of currently used 100 low-lead gasoline, and technology has led us to the Turbo Skyhawk JT-A,” said Joe Hepburn, senior vice president.